daring blend of influences both raw and refined has distinguished the group as an innovator in a trek beyond the limits of labels and genres. Hailing from Chicago where a rich musical history has consistently played a leading role in the conception and evolution of experimental music, Monobody’s budding discography has placed them firmly within the region’s next wave of definitive artists. Formed in 2014, Monobody came together following a handful of improvisational sessions between bassist Steve Marek (formerly of Renaissance Sound, Loose Lips Sink Ships) and keyboardist Collin Clauson. Shortly thereafter, the two were joined by second bassist Al Costis and guitarist/multi-instrumentalist Conor Mackey (previously a member of Loose Lips Sink Ships alongside Marek) who had both returned to Chicago after completing respective degrees in music composition. Nnamdi Ogbonnaya (who had filled out the rhythm section of The Para-Medics with Marek) was ultimately enlisted amidst a schedule that was already occupied by an abundance of other musical projects that included his own burgeoning solo work as well as his roles on numerous instruments across a number of area bands. While finalizing compositions that would constitute their eponymous debut, the band recorded and released a series of live videos that were received with notable acclaim. Monobody’s combined influences stemming from rock, jazz, punk, electronic, and all things in between merged to redefine the degree to which finesse and sophistication could be found within underground music. On several tracks, Monobody presents break-neck speed with astonishing precision, nodding to the members’ roots in both prog and punk. Their frenetic energy is contrasted brilliantly with the group’s restraint on tracks like the album’s closer “Country Doctor” wherein the group’s patience allows for each instrument’s subtleties to resonate more clearly. For their next release, Monobody teamed up with fellow Chicagoans Pyramid Scheme for a split release. Their two-song contribution offered both the breakneck energy found throughout much of their initial release along with an inclusion of electronics that further filled out both rhythm and melody. Thereafter, the band spent time playing selective dates and focusing on the writing process for its forthcoming LP. 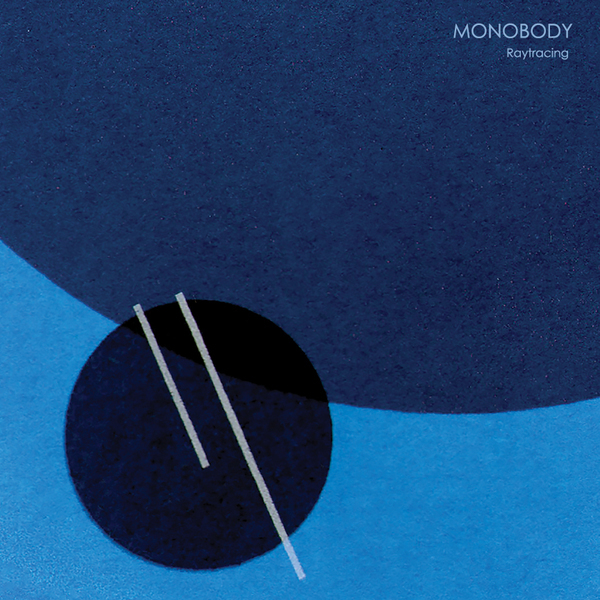 On Monobody's second full length album, "Raytracing" (Sooper Records, 2018), the group further realizes its compositional strengths. Raytracing avoids the ostentatious pitfalls that often plague technically proficient music, instead serving to tell a coherent, linear story. The group's affinity for dense, complex textures is on display throughout the album. In addition to the core instrumentation, one can hear a myriad of analog synthesizers, effectual electronics, lap steel, vibraphone, and trombone - additions that result in a fuller realization of the band's signature sound. Monobody’s decision to record and mix the album themselves in Marek’s home studio signals the group’s commitment to an unmitigated freedom for experimentation which is evident in the tracks ambitious compositions. The album is certain to advance their presence within the narratives of independent and experimental music alike. Throughout its existence, Monobody has channeled their skill and creativity through the DIY ethics that were written into their DNA throughout their collective formative years. From the writing and rehearsal that takes place to the recording, album artwork, and pressing of their records, the group’s members take on a personal role in every aspect of their existence. This approach to their craft has resulted in an acute attention to detail, culminating in an unwavering integrity that is free of commercial compromise. To listen to Monobody’s work is to witness a uniquely sincere and exciting expression of an artist’s vision.